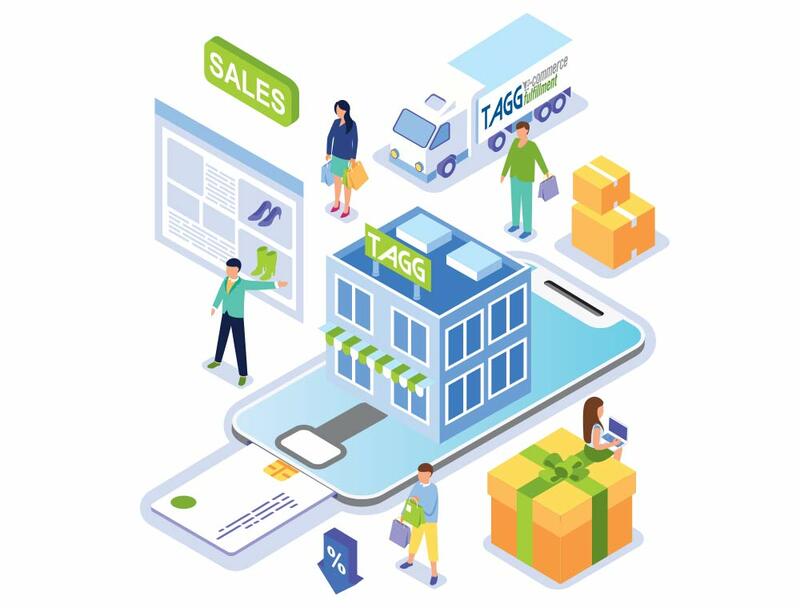 TAGG Logistics is the nationwide fulfillment, distribution and packaging provider built to deliver Your Business EverywhereSM by efficiently serving consumers when, where and how they shop today. Consumers want a seamless retail experience, regardless of where they visit a brand; brick and mortar, web, mobile, social, etc…TAGG helps deliver this brand experience for healthcare and consumer product companies via e-commerce order fulfillment, retail distribution services, contract packaging, reverse logistics and kitting and assembly. Order fulfillment is the ordering, processing, and shipping of products to your customers’ front door. It is a crucial part of any business and is reflective of your brand standards. If handled appropriately, the customer receives timely and accurate delivery of the goods, resulting in a satisfied and loyal customer. We help nurture this shopping experience through our fulfillment services. Learn more about ecommerce fulfillment. TAGG Logistics strives to be not only your trusted partner but seen as a true extension of your business. For retail distribution services, we are a 3PL with years of experience that knows how to design and turnkey a supply chain solution that is customized for your business needs. Learn more about retail distribution. Utilizing the latest in technology, equipment, and materials, TAGG Logistics provides a full range of packaging services. Our kitting and assembly solutions can be customized to your specific requirements. If you can think it, we can make it happen with every order. Learn more about our packaging services. We believe in partnerships between our employees and our clients, with shared objectives and open communication. • We believe that we should deliver on what we promise. • We believe in making ourselves better. • We believe in integrity and ethical conduct in everything we do. We are dedicated to be a responsible corporate citizen in protecting the environment. Click here to learn more about how TAGG works with our clients to create a sustainable supply chain. Could your organization benefit from a partnership with an order fulfillment provider like TAGG Logistics? Contact TAGG Logistics for a free comprehensive review of your order fulfillment, shipping and distribution needs. Let us review your current strategy – we are confident that our logistics experience and expertise can save you money. TAGG Logistics – Your source for order fulfillment and other third party logistics services including distribution, order fulfillment and contract packaging, kitting & assembly.